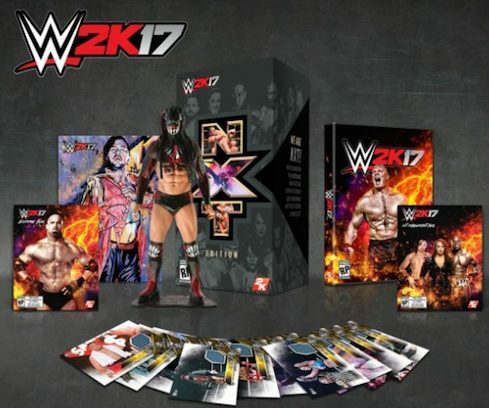 ProfileOffering an exclusive cardboard option along with the wrestling video game, WWE 2K17 NXT Edition includes a mat relic card as well as several other perks like autographs and in-game content. Limited to 50,000 copies worldwide, WWE 2K17 NXT Edition ties card collecting into the video game world with a special 2016 Topps WWE 2K17 NXT TakeOver: London Mat Relic not found anywhere else. 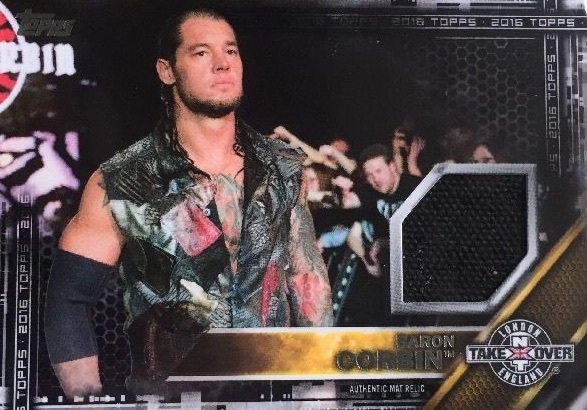 The memorabilia card will showcase one of the wrestlers that competed in the 2015 event as well as a swatch of the ring canvas from NXT TakeOver: London. Order WWE 2K17 Video Games on Amazon. The 2016 Topps WWE 2K17 design follows the flagship 2016 Topps WWE set with a horizontal layout and TakeOver logo. There will be a total of 14 different subjects along with ten levels of card rarity for each wrestler. The video game and accompanying items come in a case designed specially for the NXT version. It was listed as a pre-order for xBox One or PS4 through the WWE Online Store for $99.99. Exclusive lithograph signed by Shinsuke Nakamura. "Demon" Finn Baylor 8" figure. NXT Enhancement Pack with playable Apollo Crews, Nia Jax, and Shinsuke Nakamura, plus 50% NXT bonus at MyCareer mode. WWE 2K17 pre-order bonus access w/ Goldberg. The full parallel list will be added as soon as it is available. PARALLEL CARDS: Black, Yellow #/499, Purple #/299, Green #/199, Bronze #/99, Silver #/50, Gold #/10. I have enzo amore no 002/499 how much is it worth? ?